Sheppy’s Cider Wassail 2018 Taunton – Thursday 18th January 7pm £5.00 admission (tickets limited) Book your ticket now by emailing [email protected] More details www.facebook.com/events – Three Bridges, Bradford-on-Tone, TA4 1ER, Taunton. Wilkins Cider Farm Wassail – Somerset – Saturday 20th January 7.30pm http://wilkinscider.com/ All the cider you can drink and still stay upright, snack food, singing and dancing. There’ll be Ceilidh music in abundance courtesy of The Somerset Levellers. Tickets £10 on the door includes entry from 7.30pm. 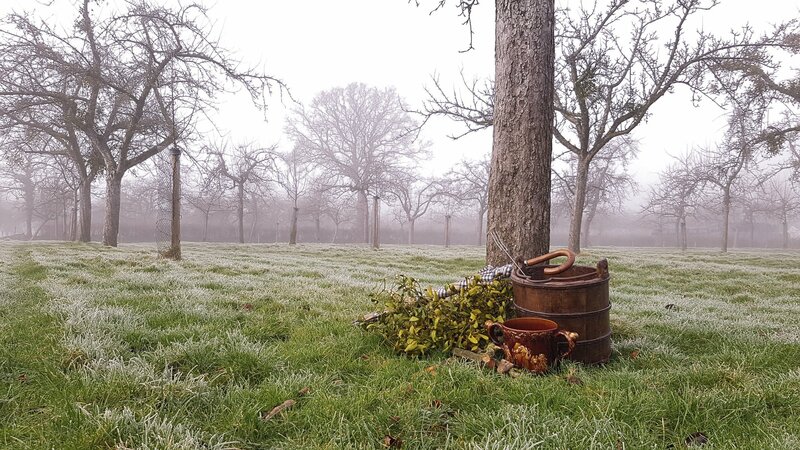 Liberty Fields Wassail, Halstock, Dorset – Sunday 21st January from 3.30pm – 5.30pm. Free event, music from the Ridgeway Singers and Band, warm punch, face painting, wassail hat competition ( with prizes!) and wassail rocket. BA22 9SZ.